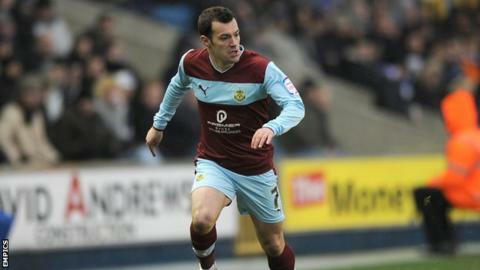 Winger Ross Wallace will remain with Burnley until the summer of 2015 after signing a new contract with the club. The 27-year-old's previous deal was due to expire at the end of the season. Wallace, who won his only cap for Scotland in 2009, joined Burnley from neighbours Preston in July 2010 and has played 123 times for the Clarets. "The manager (Sean Dyche) made it clear that he wanted me to stay. As long as I am playing games I am happy," Wallace told the club website. "I want to play at the highest level I possibly can. The manager has come in with the same ambition, so it's a good situation. "It's what I wanted and didn't take long. I didn't want to move from the start and I am just happy to get a bit of security." Dyche was delighted to see Wallace extend his stay at Turf Moor, adding: "He is a valued member of the squad and I am sure he has a big part to play in our future."